Preheat oven to 350 degrees F (176 C). Set out a baking sheet and line with parchment paper. And to a large mixing bowl, add water and salt. Stir to combine and dissolve salt. A little at a time, add the areparina and stir with a spoon or your hands. 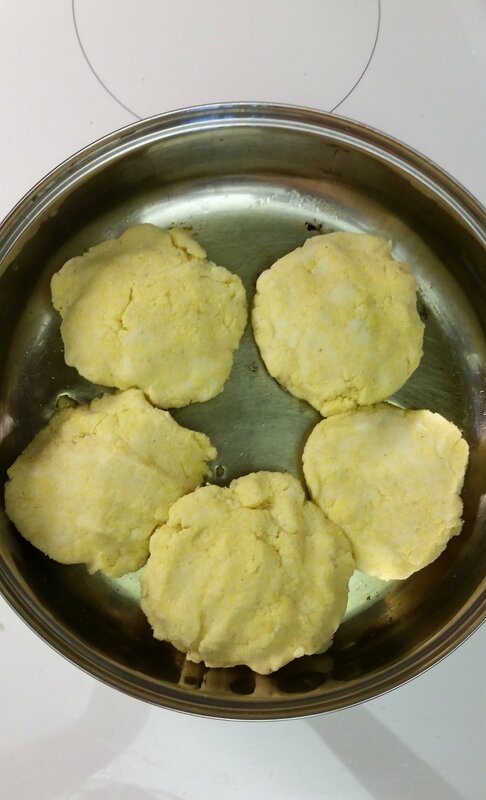 Grab a large handful of dough, and roll into a ball, will make 5 large arepas. Carefully press the ball between the palms of your hands to form into a roughly 1/2-inch thick disc. If it cracks a lot on the sides, your dough may need 1-2 tablespoons of water. 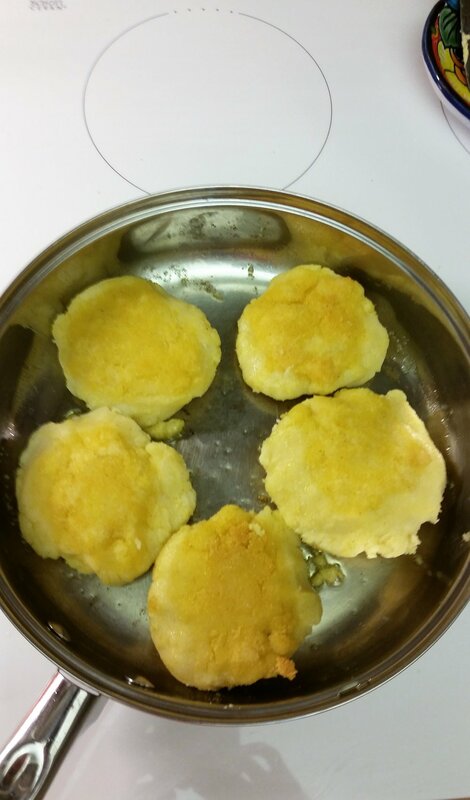 Once the arepas are formed, heat a pan (add Olive oil to coat) over medium-high heat. Then add arepas, Cook for 5-10 minutes or until slightly golden brown. Then flip and cook for 5-10 minutes more or until the underside is also golden brown. Transfer to your parchment-lined baking sheet and bake for 20-25 minutes or until slightly puffed up and a little more golden brown in color. 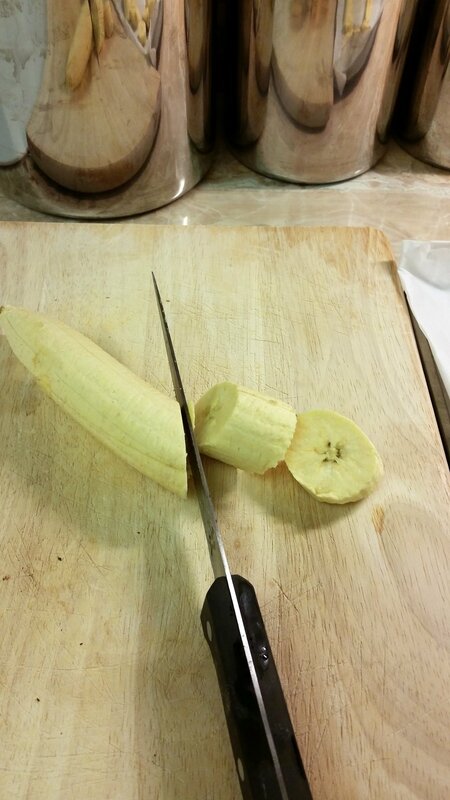 Slice into them immediately. Store bought arepas or if not, homemade made arepas takes about 30 minutes (not included in prep time). Preheat oven to 400 degrees F (209 C). 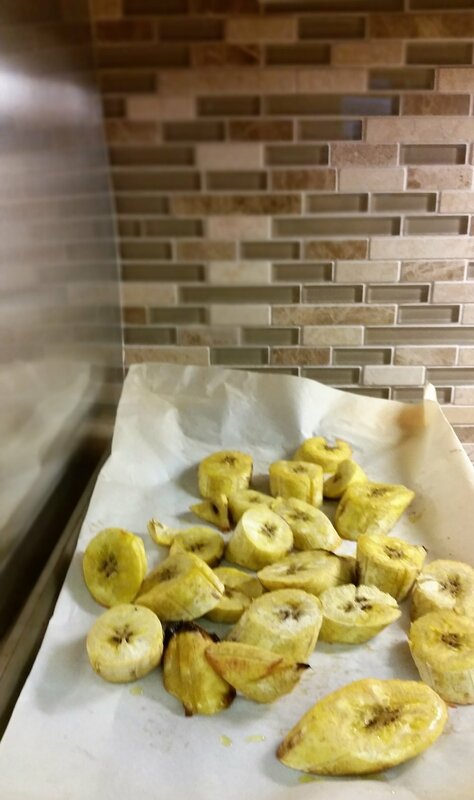 Peel the plantains and slice on a diagonal into 1/2-inch pieces. 3. Then add to a parchment-lined baking sheet and toss with oil. Arrange into an even layer and bake for about 20 minutes or until golden brown. 4. In the meantime, add (slightly drained) black beans to a small saucepan and heat over medium heat until bubbly and hot. Season with cumin and salt and stir to combine. Then turn heat off and set aside (cover to keep warm). 5. 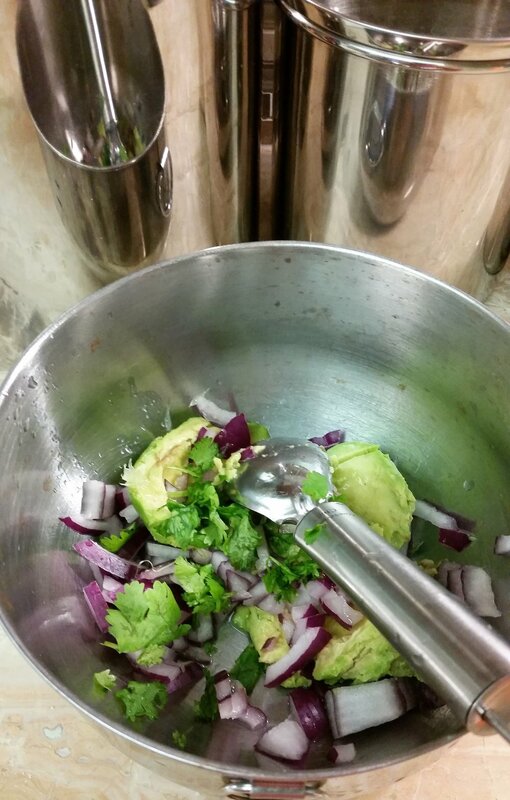 Lastly, prepare guacamole by mashing avocado in a small mixing bowl and adding lime, salt, onion, and cilantro. Stir to combine, and taste and adjust flavor as needed. Add more salt for saltiness, lime for acidity, or onion for crunch. Set aside. 6. Slice the hot arepas in half add guacamole, beans, plantains, and any other desired toppings, such as cilantro.